Gringo marks the first solo presentation of Pedro Wirz in the country. Born and raised in Brazil, he left his native São Paulo eight years ago to pursue an art education in Europe. 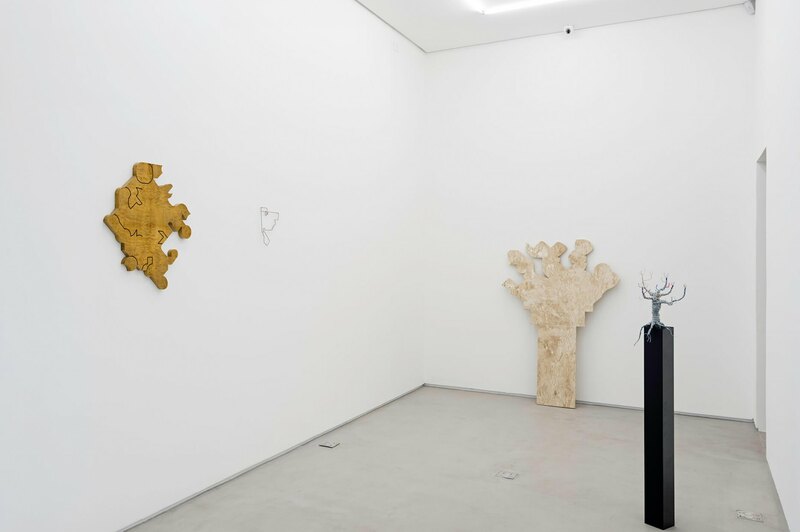 Curious to reconnect with the story and origins of his Swiss paternal grandfather, from whom he inherited his last name, Pedro enrolled at the art school in Basel in 2008 and has been based there since. An identity milestone, Gringo epitomizes the paradoxical return of an artist to his own country. If Wirz’s career has been fruitfully growing in Europe for the last years, the title of this exhibition reflects on how his practice has been shaped by time abroad, leading to an uncanny feeling of estrangement towards the country where he was born. Furthermore, over the years spent in Europe the artist absorbed the romantic vision of an exotic Brazil that carries a sort of tropical idealism. Gringo originates two years ago, when the artist was invited by Swiss artist San Keller to produce a project for a vocational guidance fair in Zurich. Meant to inform, motivate or inspire high school students on their future professions, the fair provided a booth designated to showcase the daily operations of a professional living artist in Switzerland – a rather optimistic and progressivist take on the subject. Within the task of performing his artistic self, Wirz invited visitors to design their dream three-dimensional work. But consistent with his long-term approach, Wirz couldn’t help but provide a few instructions that would constitute the framework and define, like a signature, the authorship of the works. Each model would have to be designed by connecting dots on a grid with either 90 straight lines or 60 curves. Emulating a connect the dots puzzle for children, the grid was however unnumbered, leaving each visitor free to express their genuine vision of what Art should look like. What’s more, the authors of the sketches had to indicate the size, material and any other relevant production information. Unlike many utopian enterprises, Wirz in all likelihood secretly knew that this game was a way to challenge himself, as this series of cadavre exquis would not remain a dormant archive of some adolescent’s artistic subconscious, but probably materialize in the future. And here we are. Freed from the laws of gravitation, market and visual education restrictions, the sculptures presented at Gringo bear all the fantasies of youngster’s boundless creativity in what could be an Art Brut for the future. 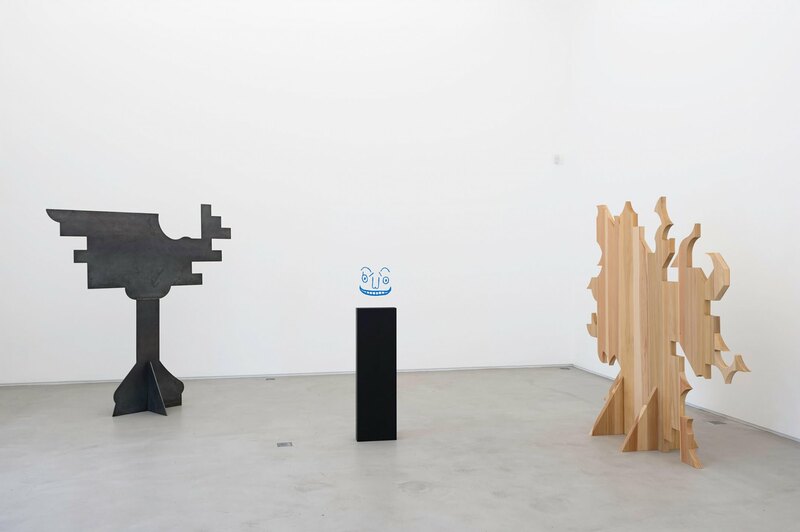 The newly-produced artworks translate a rich array of poetic expressions of the mind: abstract, anthropomorphic, geometric figures engage in ingenious lessons for an often over-educated audience. 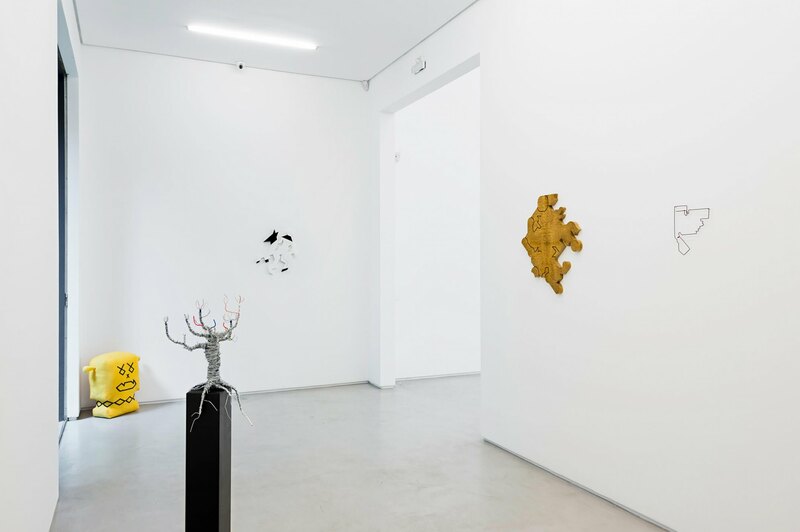 Produced entirely in São Paulo using local material, this new body of work melds the Swiss subconscious with the Brazilian artistic realm. 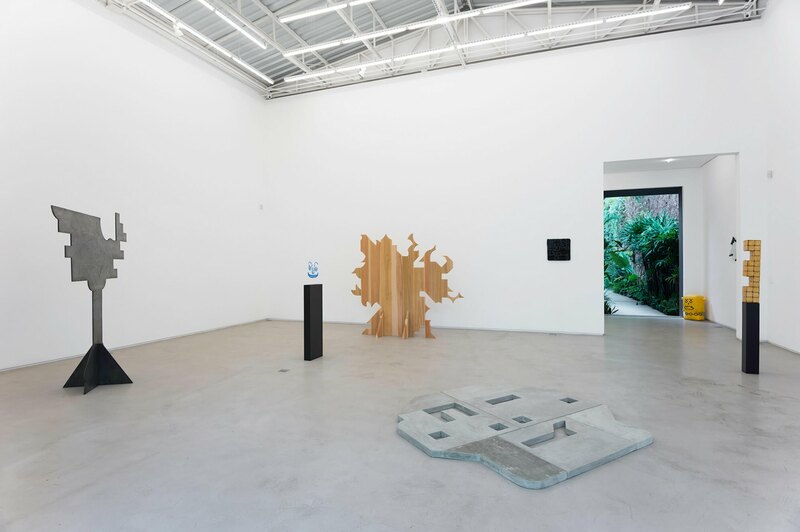 In a quest for a reconciliation of identitarian reconciliation, the works reflect on the ambivalence implied by the title, celebrating Wirz’s ritualistic self-introduction to the Brazilian art scene. Pedro Wirz (born in 1981 in São Paulo, lives and works in Basel) has studied at Institute of Art Basel FHNW, Basel, with the Professor Jürg Staeuble, Muda Mathis and Dr. Roman Kurzmeyer and at Fine Arts Academy (Erasmus), Stuttgart, Gemany, with the Professor Birgit Brenner and Professor Christian Jankowski. Main exhibitions include Tropical, Dortmunder Kunstverein, Dortmund, Germany, 2013 (Solo show); Swiss Art Awards, Basel, Switzerland, 2013; Le Club des Sous l'Eau, Palais de Tokyo, Paris, France, 2013 (Solo show); Not the New, Not the Old, But the Necessary, Künstlerhaus Stuttgart, Stuttgart, Germany, 2012 (Solo show); Platform 12, Zurich, Switzerland, 2012; If I had eight hours to chop down a tree, I'd spend six sharpening my ax, Kunst Raum Riehen, Riehen, Switzerland, 2012; Kantonale Bern Jura, Kunsthalle Bern, Bern, Switzerland, 2011; Sculpture Exquis, Rückwand-Projekt, Kunsthalle Basel, Basel, Switzerland, 2011; Outsiders, SALTS, Basel, Switzerland, 2011 (Solo show); Curated Sculpture #1, Korridor at Parotta Contemporary, Stuttgart, Germany, 2010; The Village Cry (Regionale), Kunsthalle Basel, Basel, Switzerland, 2010. 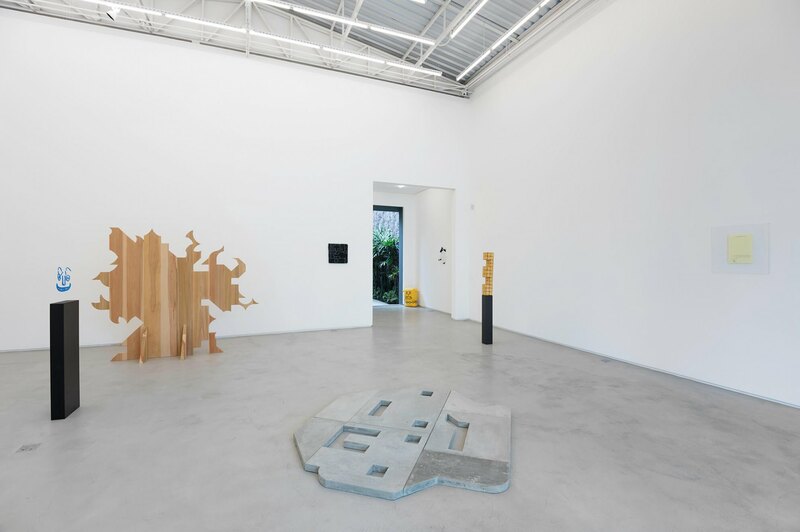 From July to December of 2012, Pedro Wirz collaborated in a program at the studio IAAB part of Cité des Arts, Paris, France. The artist was also selected this year for the ISCP residency in New York, USA in 2014.